As any Internet marketer already knows: Google loves content, content is king. We are taught to write quality content and of course research our topics based on current trends as you will get more hits based on what people are searching for etc. But is it always wise to jump on the Social Media Bandwagon? After the recent tragic loss of beloved comedian and actor Robin Williams, I’ve seen more evident than ever how people were posting about him simply to jump aboard the social media bandwagon to gain attention. To clarify, I’m not referring to the many posts on Facebook or comments on Twitter mentioning Robin and saying rest in peace and offering condolences to his family. Granted, there’s nothing bad about spreading awareness about these things they are important issues that people should be aware of. It’s ironic seeing these things posted by people who I know on a normal day could really care less. Suddenly they care so much because it is a hot trending topic on sites like Google, Facebook, Twitter and Instagram. So are they posting because this cause is so close to their heart, or because they want to see how many shares that photo/post on such a hot topic will get? I suppose the moral of this post is to try to encourage people even when marketing, don’t sell your soul. 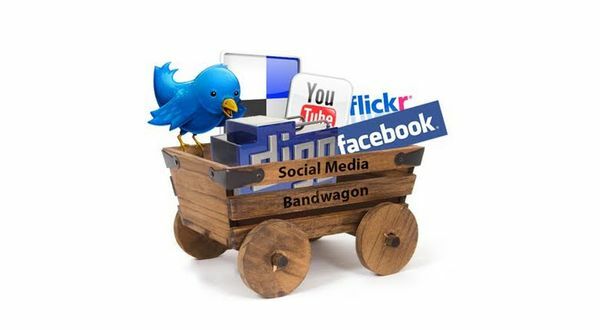 You don’t have to blindly leap on the social media bandwagon. Be true to your visitors by just being yourself. Post and share not just what is hot in trending, but what you really care about, your values, your business. People can sense this and will have more respect for you because of it.